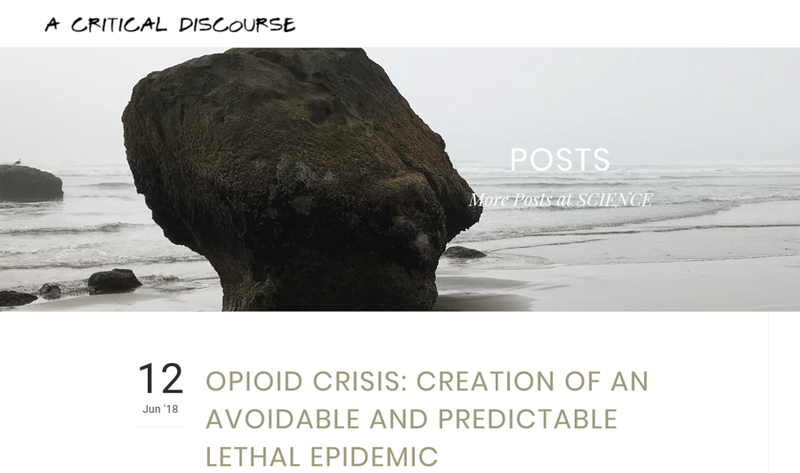 As explained in detail in this post and here, evidence for benefit from the medical/pharmaceutical industry medical fix for the medical/pharmaceutical industry-generated lethal opioid crisis requires an explanatory mechanism. Unlike the beneficial lethality-preventing effects of naloxone – observed and counted directly in emergency or medical settings when a user at risk of overdose death is revived by use of naloxone (Narcan), any presumed role of OST in reducing OD deaths or providing other benefit must be achieved, measured, and statistically significant (in credibly designed and interpreted research with durable results and external validity) as reducing high-risk opioid use – that’s how any hypothesized benefit would occur. But that evidence has never existed. For a number of invalidating reasons. One primary reason is that use of naloxone has increased concurrently with provision of OST. Studies have not been controlled to allow attribution of any reduced opioid-related mortality to OST versus use of naloxone – the potential exposure to naloxone intervention generally reported to be and predicted to be positively associated (correlated) with patient involvement in OST services and associated medical and psychosocial supports. Another of multiple invalidating factors is the consistently emerging evidence: national data, data from community programs, associated timelines, and OD death prevention data all point coherently to naloxone acting as the protective factor accounting for any apparent reductions in OD deaths, measured directly, leaving no changes for the hypothesized effects of OST to account for. of high-risk use of opioids is incidence of opioid injection-related infectious disease, like endocarditis.